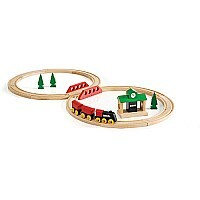 A classic starter set for the 2 year child with all wooden details. 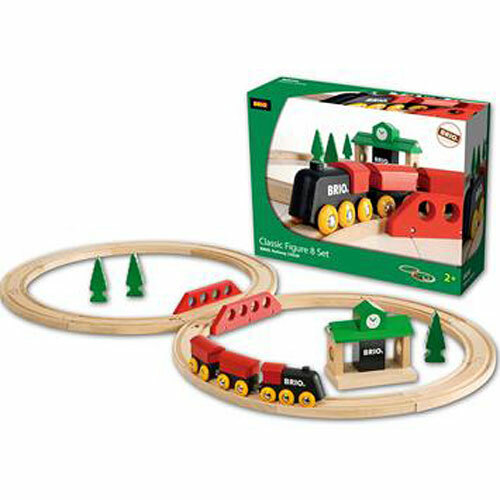 Take the classic inspired engine out on an adventure along the tracks. 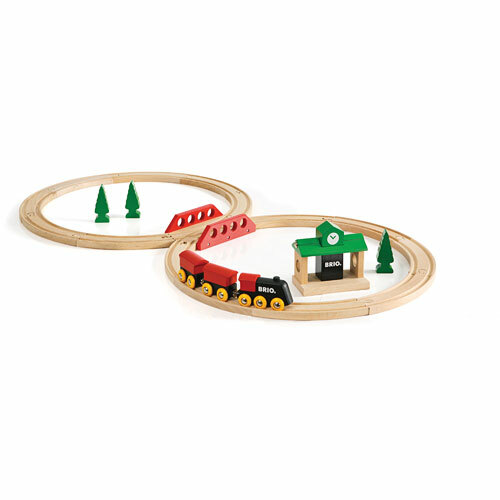 Stop by at the all wooden station and continue along the tracks passing by trees and a crossing bridge. Lots of fun for the youngest drivers! Ages 2+.